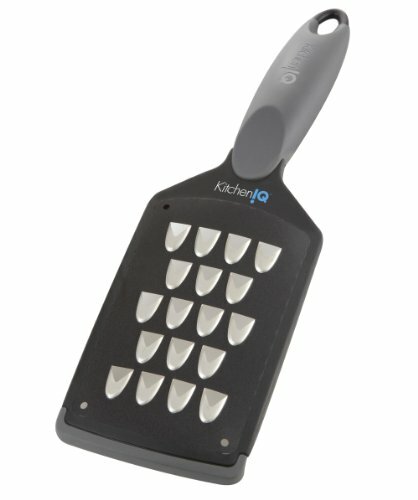 The Kitchen IQ Extra Coarse Grater is the perfect tool for grating cheese, chocolate and vegetables. You're going to love this tool! The KitchenIQ Extra Coarse Grater Paddle is a handy kitchen tool that is perfect for your larger grating needs. The sharp V-etched blades will make quick work of cheeses, cucumbers, carrots, chocolate, and more. The paddle features an ergonomic handle for comfortable grating, and the nonslip rubber edge will ensure your paddle stays where you want it — no more chasing the grater across your surfaces. 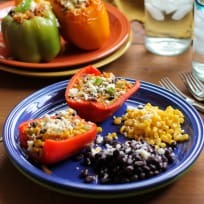 It also features a nonstick coating, allowing stickier foods like cheeses to glide effortlessly across the grater’s surface, getting a better shred while making less work for you! The KitchenIQ Extra Coarse Grater Paddle’s design allows you to grate however you need: over a bowl, into a pot, or onto a cutting board. It comes with a blade cover to keep errant fingers from being cut. Available in Charcoal and Orange. 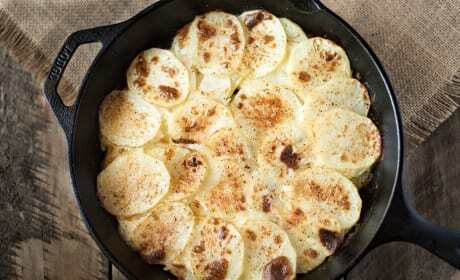 Pan Haggerty is a comforting British side dish everyone will love. 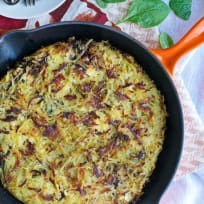 Who can resist potatoes with melty cheese? 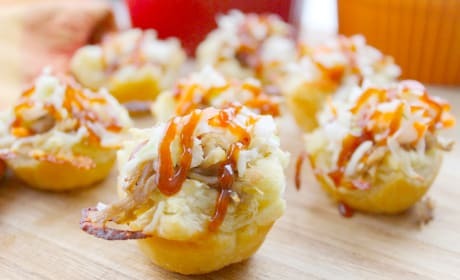 BBQ Shredded Pork Cups with Cheese will be your new favorite snack. Flavorful pulled pork in a puff pastry cup topped with gooey cheese. 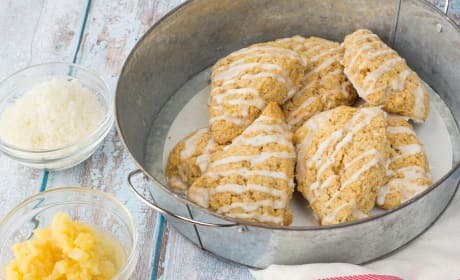 Piña Colada Scones give you a taste of the Caribbean at breakfast time. Fantastic! 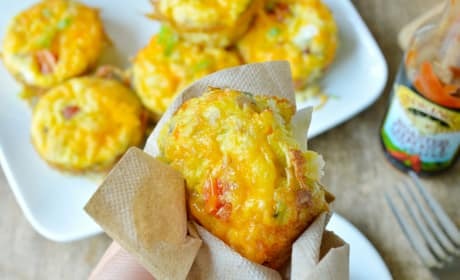 Make-Ahead Breakfast Bakes is a great breakfast for the busy school mornings. Grab and go! 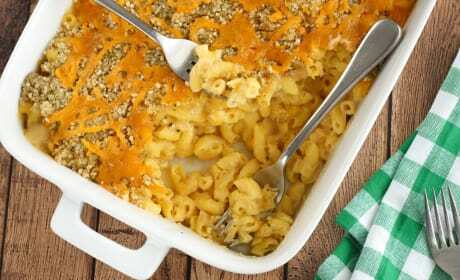 Gluten Free Mac and Cheese is just the comfort casserole you&#39;re craving. 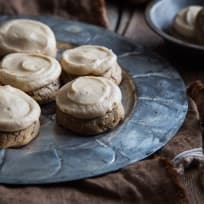 This gluten free version will really make you smile. 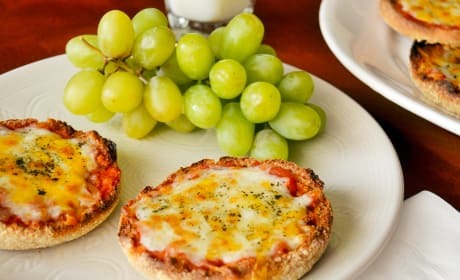 English muffin pizzas are so darn easy! 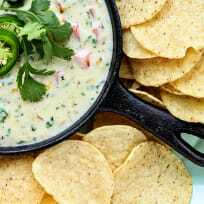 Pick and choose any toppings you like - fancy or traditional, spicy or not. Gotta love that.